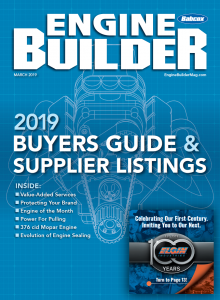 According to a recent Engine Builder Machine Shop Market Profile, in which we survey hundreds of machine shops across the country, about 15 percent of the total production time for rebuilding an engine is spent in the cleaning process. While our wives may not agree that we spend that much time cleaning, it is a necessary evil in the rebuilding world. 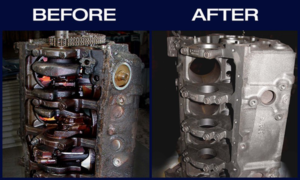 Cleaning engine parts is essential to the overall process, but engine builders are always trying to find ways to reduce the time they spend cleaning without affecting the results. 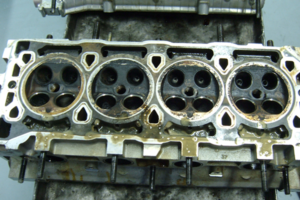 Unfortunately, there’s not a one-size-fits-all solution to clean every engine part. However, with a variety of methods, equipment and chemicals, engine builders can achieve the results they need in the least amount of time. When choosing a cleaning system, you must consider all of the variables such as the size and shape of the parts you’ll be cleaning. 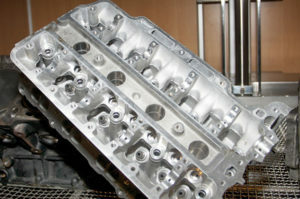 Engine parts have many angles and blind holes that need to be cleaned just as thoroughly as the larger surface areas. These can cause particular challenges for whatever type of cleaning system you use. 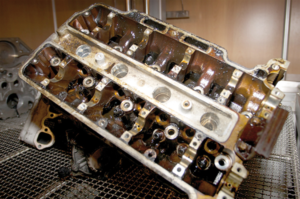 Cleaning with water-based chemicals has been a mainstay in engine shops since the early days of rebuilding. Hot tanks that contained a heated and highly caustic solution would soak engine parts in a giant sink for hours. The problem with the hot tank method alone is that more steps are needed to get the part completely clean, and it was a nasty solution that needed to be cleaned regularly to be effective. 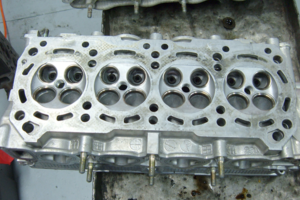 Many shops used them as an inexpensive way to handle cleaning aluminum heads. Today, there are several options for cleaning with water-based solvents via heat, agitation and high water pressure spray nozzles that are much more automated and easier to maintain. When parts soak in an aqueous solution for a period of time, heat or agitation can clean hard-to-remove contaminants. Pressure spray washing can also incorporate heat, along with water pressure to achieve the similar results. With water as the primary cleaning agent, other agents are added to increase the effort such as surfactants, detergents, emulsifiers, corrosion or rust inhibitors, anti-foaming agents, PH buffers, builders, or others. Altering the PH of the aqueous solution can more effectively remove contaminants. Acidic aqueous solutions are better suited to remove scale, rust and oxides from metals. Alkaline aqueous solutions are better for removing salts, oxides, metal chips and grease. The most common type of aqueous solutions are alkaline-based and can be used on a wide range of temperatures. Soaking parts alone will not clean all of the grease and grime effectively or efficiently; this is why aqueous systems incorporate ultrasonic equipment, spray washers and other technology. When parts are soaked in an aqueous solution, heat or agitation works to clean hard-to-remove contaminants. Pressure spray washing can also use heat, along with steadily applied water pressure, to achieve the same result. Ultrasonic cleaning produces cavitation bubbles that can remove microscopic grime in the smallest areas. Ultrasonic washers eliminate the need for harsh chemicals and time-consuming hand cleaning. Ultrasonic cleaners induce controlled cavitation (the formation of bubbles) in the cleaning solution. Cavitation bubbles form and collapse, releasing significant energy against the surfaces of objects immersed in the tank, which essentially “scrubs” the hard-to-remove soils from the parts. The frequency of the unit determines the cavitation. Low frequencies generate large cavitation bubbles, and high frequencies create smaller cavitation bubbles but in higher numbers. Ultrasonic cleaning is changing the industry by making precision parts cleaning cheaper, safer, faster and more effective. Ultrasonic cleaners today are beginning to exceed more traditional cleaning processes, for everything from carburetors to jewelry. Ultrasonic cleaning produces cavitation bubbles that can remove microscopic grime in the smallest areas. Ultrasonic washers eliminate the need for harsh chemicals and time-consuming hand cleaning. Ultrasonic parts washers vary in size and power to match your shop’s cleaning challenges. The machines may be customized for certain types of parts whether it’s heads, blocks or small parts. However, ultrasonic washers can be used to clean many other parts such as plastic, bearings, bolts, rubber, transmission parts, as well as final cleaning before assembly. The versatility of ultrasonic cleaning equipment today makes them a popular choice for automotive as well as many other industries. But there are some important factors to consider before buying an ultrasonic system. First, cheaper systems may cost less up front, but will more than likely cost more money in the long run for electricity, detergent, replacement parts and accessories, so be sure to calculate all of the factors into your purchasing decision. Purchasing an inexpensive ultrasonic cleaner can be more trouble than it’s worth as quality and features can vary quite a bit between manufacturers. Do plenty of research before buying an ultrasonic cleaner so you can make an informed decision based on features and quality versus price alone. Typical ultrasonic machines used in the automotive industry operate at a center frequency of 40 kHz (with a ±2% sweep system), which is the most effective for cleaning engine components. This frequency achieves the best cleaning without damaging soft metals such as aluminum. Today’s ultrasonic units have a center frequency as well as a sweep bandwidth and sweep frequency. Sweep is how the transducer deviates from the center frequency during operation. Typically, this deviation occurs symmetrically around the center frequency. The driving frequency varies continuously within a range of the center frequency to remove crusty contaminants more effectively. The number of transducers is also a factor in the quality and effectiveness of an ultrasonic system. A larger tank needs more transducers to surround the part with cavitation bubbles that will remove the grease and grime. 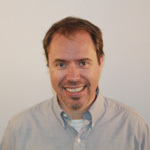 Cheaper units have fewer transducers and will not clean as effectively. Blasting equipment may all appear to be similar when in fact there are many different models from which to choose. The cabinets come in several sizes from small, single component size to large production sizes for increased efficiencies. Larger equipment can easily multiply the production savings by blasting several parts at a time with better coverage from the jet nozzles. While the extra cost up front may prevent some shops from purchasing a production model, there are significant savings to be gained in the long term. When you double the cubic feet per minute (CFM) of compressed air going through the blasting cabinet for the production capacity, the blasting time can be reduced by more than 30 percent. This is one of the main reasons why a production capacity cabinet will make up for its additional cost, resulting in reduced labor time and increased output. Each shop has its applications that will determine the most efficient blasting cabinet configuration. If you don’t know and understand all the different types of blasting equipment, look for a manufacturer that offers several different sized cabinets. You may buy more than you need now in anticipation of growth opportunities. More and more cabinet manufacturers are moving to dry cabinets because the dust collectors are better able to handle the abrasives than in the past. Early cabinet designs were almost exclusively wet models. And these units are still available and better than ever; however, changing media is more difficult. The dust collectors can contribute more than half of the cost of the complete machine today. But keep in mind that a well-designed dust collector that is easy to service will be maintained more frequently and last longer. Media blast machines use compressed air to force an abrasive onto the part being cleaned and come in two styles. Siphon machines use suction to pull the abrasive into the blast gun, while pressure machines use a pressurized pot to “push” the abrasive to the blast nozzle. Siphon machines use an abrasive gun with two hoses; one for compressed air and one for abrasive delivery to the gun. Pressure machines use a single hose with a mixture of compressed air and abrasive. Siphon machines are typically the most preferred setup for rebuilding because they never have to stop to recharge the gun unless it runs out of abrasives. But pressure machines work better for blind holes and higher velocity cleaning. There are uses for each type, and some shops will use both. Baking soda (Sodium Bicarbonate) abrasive blasting was developed during the restoration of the Statue of Liberty in 1986. During the planning of the project, Church & Dwight Co., Inc., maker of Arm & Hammer baking soda, helped engineers find a way to remove the final two interior coating layers without damaging Lady Liberty’s delicate copper skin. Many different blasting abrasives were tested and they discovered that Sodium Bicarbonate had excellent cleaning properties while not causing any surface damage. Following this success, Church & Dwight Co., Inc. launched the first Sodium Bicarbonate blasting abrasive, ARMEX, in 1989. Baking soda media such as those offered by ARMEX turn decades old cleaning processes that shops have used on its ear with an abrasive blasting media specially formulated for the rebuilding industry. With the ability to quickly eliminate grease and oil, plus the power to remove burnt-on carbon, light rust, gasket materials, coatings and grime all in one-step, baking soda media has proven to be a viable alternative to other cleaning processes. One benefit of using baking soda blast media is that it will not damage the parts where other abrasive media might move the metal and cause deformation. If you what to improve your cleaning process AND save time doing it, soda blast media is a good choice. One benefit of baking soda blast media is that it will not damage parts where other abrasive media might cause deformation. For many years, engine builders have used rotisserie style ovens to bake the grease and grime off of cylinder blocks and heads. But high heat can hurt aluminum. We won’t discount the effectiveness of an oven cleaning system, but their use is limited to cast iron parts. By turning grease into ash, burn off ovens are some of the most environmentally friendly ways to clean engine parts. Modern oven systems even contain filtration systems on the vent pipe for even less contamination. The finish on a part cleaned by a burn off oven is like new when combined with an abrasive blast. But, again, these systems must be used with caution. Aluminum can anneal when it’s exposed to high heat for an extended period. Oven cleaning systems remove grease, oil, gaskets, varnish, epoxy, paint and other organic material with little or no environmental impact. Convection style ovens are indirect flame and operate around 700° F for cast iron. The rotisserie style ovens operate with direct flame touching the parts at temperatures as high as 1,100° F, which can burn off even the most baked on crud. Thermal decomposition of organic material causes contaminants to be vaporized leaving only small amounts of ash that can be tapped off or rinsed clean with water or tossed in a tumbler. No matter what type of cleaning system you use, there are pluses and minuses for each. But keep in mind – the most effective and efficient way to clean a part requires more than one system.